Chris Barkley: Change is hard. It’s hard for those who perceive it as a threat to a well-established order of normalcy and for those who seek to improve on an existing situation. Two years ago, Vincent Docherty, a former Hugo Awards administrator and a former Worldcon Chair, approached me with a new proposal, which was then followed by several more ideas, that I found that I agreed would strengthen the Hugo Awards for the foreseeable future. I know that by presenting these ideas, I know I will be involving myself with a very tough and potentially divisive argument with the more conservative elements of the literary branch of sf fandom. While I am delighted to be asked by my co-author, Vincent Docherty, to undertake this endeavor, I also recognize that these proposed changes will be viewed with unadulterated glee by some and absolute revulsion by others. And the prevalence of multiple outlets of social media will have its advocates and detractors at war with each other within hours of the publication of this article. Some will say that I am doing this just to be a disruptor and a gadfly. I can only say that everything that I have done regarding the Hugo Awards I have done to ensure that they remain fair, equitable, engaging, exciting and most importantly, relevant. 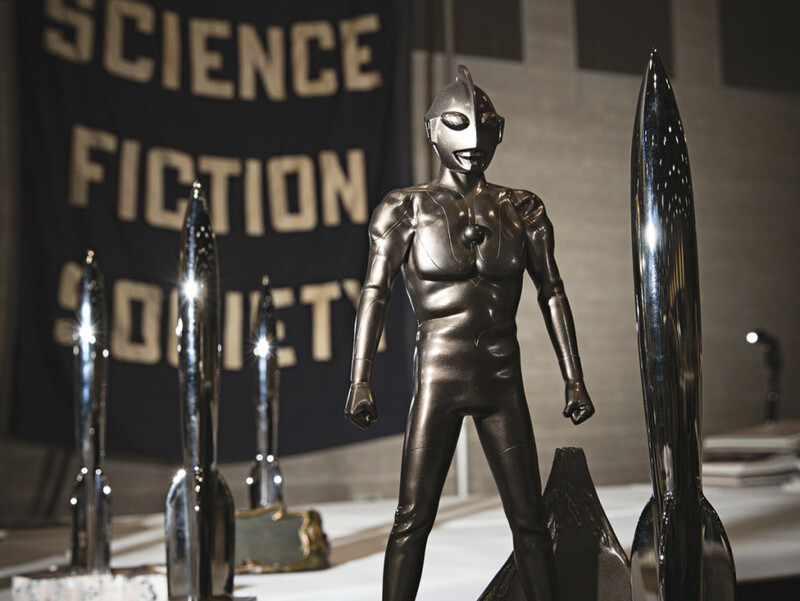 The changes the Hugo Award categories have undergone since 2003 have led to higher numbers of fans participating in the voting process and an ever-growing acceptance and recognition from the public at large. But, as well off as the Hugo awards are now, there’s always room for improvement. Which brings us to our proposals. Vincent Docherty: The Hugo Awards have grown considerably in visibility and in participation over the last decade. In my view that’s been mostly positive, although there have been big bumps in the road. Where the categories don’t fully reflect the breadth of work begin done, either because there is so much more work (eg. fiction, very short BDP), or changes have occurred such that categories become confused (arc-story, rather than episodic television series). Given the number of changes to the rules currently being enacted and the general resistance to adding new categories, I expect that these proposals will need time to be considered and worked. However, we believe the time is right to raise them now. I think there is both sufficient need and specific enough possible solutions to propose changes to the Novel, Related Work and BDP categories. 3.3.1: Best Science Fiction Novel. A science fiction story of forty thousand (40,000) words or more. 3.3.2: Best Fantasy Novel. A fantasy story of forty thousand (40,000) words or more. VINCE DOCHERTY: The Best Novel is by far the category with the highest participation by nominators and voters every year, at a time of great strength in genre publishing. By splitting the category in a simple way, the Worldcon community can recognise more works. Under the current WSFS rules, the John W. Campbell Award For Best New Writer is probably sufficient to cover first time writers, and/or risks duplicating works. Definition of the boundaries between fantastic genres are notoriously difficult, nevertheless, almost all genre novels are published with a clear category (perhaps not surprising as the genres are largely publishing-derived). Rule 3.2.6 refers to the fiction categories by name and will need minor adjustment. Rule 3.2.8 relating to fiction category boundaries remains unchanged. Chris Barkley: Both Vince and I believe this move is probably long past overdue. Other awards, most notably the Locus, Sunburst (since 2008), Seiun and the newly-formed Dragon Awards have no problem at all with nominating or administering multiple novel award categories. We also feel that on the whole, Hugo Award nominators have proven to be very adaptable to adjusting to new categories and rule changes over the past decade to produce (Rabid and Sad Puppy interferences aside) some very strong ballot nominees. Here are some examples of how this category change might look like by using the existing long lists of nominees from 2010 through 2016 (with the deliberate redaction of the recent nominees advocated by the Sad/Rabid Puppy movement). 3.3.5: Best Non-Fiction Book. Any book or work related to the field of science fiction, fantasy, or fandom, appearing for the first time during the previous calendar year or which has been substantially modified during the previous calendar year, and which is clearly non-fiction or has a basis in fact with the intent to be educational and/or informational in nature and which is not eligible in any other category. 3.3.6: Best Art Book. Any art book or related volumes of works in the field of science fiction, fantasy, or fandom, appearing for the first time during the previous calendar year or which has been substantially modified during the previous calendar year. VINCE DOCHERTY: This category has changed significantly over the years. Created in 1980 as ‘Best Non-Fiction Book’ it was changed to ‘Best Related Book’ in 1999 and became the current ‘Best Related Work’ in 2010. A review of the finalists in the category up to 2010 shows that almost all of them were either non-fiction books (including biographical and academic books) or art books of various types. The well-intended change in 2011 from Book to Work (which I supported!) was a response to the rapid rise of e-books, web-sites and blogs, alongside test categories such as best website. However this change, changes to other categories and clarifications to the rules to make clear that it is the content, not the container that is important in an e-world, caused uncertainty for nominators, and the complex eligibility interactions for administrators resulted in works such as podcasts, music recordings and blogs appearing on the ballot, alongside a much reduced number of non-fiction work and almost no art-related works. In many cases these new types of work could have been placed in a different category such as BDP or Fancast or Fan writer, and in several cases in fact they appeared in both. A review of the top 15 works nominated each year shows that significant numbers of non-fiction and art books are still being judged Hugo-worthy by many nominators. Looking again at the Locus Award, (and the Locus annual recommendations list), one can see two strong and stable categories; Best Non-fiction Book and Best Art Book. The definition of content in the Hugo rules now explicitly makes clear that electronic forms of text are equivalent to print. The word ‘book’ can therefore be used to describe a unit of published work in either electronic or printed form. We also believe there is a need to better promote art in the Hugo Awards, reflecting the significance art has to the genre. Chris Barkley: Speaking personally, I think it would be nice to see more artistic works being honored with Hugo Awards. :3.3.7: Best Dramatic Presentation, Long Form. Any theatrical feature or other production, with a complete running time of more than 90 minutes, in any medium of dramatized science fiction, fantasy or related subjects that has been publicly presented for the first time in its present dramatic form during the previous calendar year. 3.3.8: Best Dramatic Presentation, Episodic Form. 3.3.9: Best Dramatic Presentation, Short Form. 3.3.10: Best Dramatic Presentation, Series. Any episodic series or other dramatic production, with more than four episodes of sixty minutes or more, or a running time of 240 minutes or more in any medium of dramatized science fiction, fantasy or related subjects that has been publicly presented for the first time in its present dramatic form during the previous calendar year. Current Rule 3.2.10 relating to BDP category boundaries remains unchanged. Also, Current Rule 3.2.9: No work shall appear in more than one category on the final Award ballot. VINCE DOCHERTY: After fifteen years, we both thought that is was time to overhaul and reorganize the Best Dramatic Presentation Hugo category. The basic principles the Hugos use for works are measurability (word count, minutes) and discrete units of content, rather than the container. In practice the story-arc has been used as the main determinant of ‘discrete/single work’ by both voters and administrators, with length then used to determine which category to use. Hence story-arc based (mini)series and pairs/trios of episodes have appeared on the ballot in both short and long form. Stand-alone episodes and movies have always been treated as single works, and the case where movies are part of a series seems not to be an issue, in a similar way to novels in a series – they generally are separated by years and are marketed as discrete works. We have seen a huge increase in the number of genre series in recent years especially with services such as Hulu, Netflix and HBO. A quick analysis gives a count of 80 such series in English in the last year or so (see below). This presents us with an opportunity to honor a series through the nomination process. VINCE DOCHERTY: The logic of series here is possibly different from yours, in that I distinguish a series which is a single story arc from one that is essentially a collection or anthology of separate episodes. Chris Barkley: Indeed it does; as an American, I am more used to thinking that a nominee in this category should not be just a single story arc within a series, but to judge and nominate the series episodes as a whole entity. In fact, the BDP Hugo were awarded to an entire seasons of The Twilight Zone on three occasions in the early 1960’s. VINCE DOCHERTY: It seems to me that this is the key request being asked by lots of voters – how to be able to nominate a single episode which is clearly outstanding, from a series which overall is outstanding but where it’s hard to single-out one episode. Chris Barkley: Which I totally agree with. But, inversely, we don’t want Hugo voters using the BDP Series to nominate entire seasons of shows like Black Mirror, which is an anthology series of unconnected, one-off episodes. VINCE DOCHERTY: There are problems with any categorization of course. The choice of lengths, which is already an issue (unless we choose to soften them to a guideline) remains. Also where a series comprises a series of arcs – Doctor Who, for instance, has had cases of pair/trios of episodes nominated as single works. I imagine that could be dealt with by categorizing them as longer single works, but not the whole. Another possible issue is dealing with nominations of episodes from a series which is also nominated as a whole (this occurs now as well). Chris Barkley: I imagine that Rule 3.2.9. might be applied by the Hugo Administrators or that the works may be removed or disqualified altogether, solely at their discretion as per the WSFS Constitution, if several arcs from the same show were nominated. But who knows? A better solution may come through the debate process and further arbitration of the amendments. Both Vince and I thank you for your time and attention. This entry was posted in Awards and tagged Chris Barkley, Hugo Awards, Vince Docherty, WSFS by Mike Glyer. Bookmark the permalink. Andrew M: If there is a Serial Form award, series are more likely to be shortlisted there, so their episodes won’t fill up Short Form. This means that there will be more room in that category for less well-known things to emerge. So for instance, this year GOT and The Expanse would quite likely have been shortlisted in Serial Form, taking their episodes out of Short Form, and we would have been left with Splendor and Misery, ‘San Junipero’, and the Doctor Who episode (as that had no series last year) – and three other works which we do not yet know, drawing them to our attention. I don’t think that would happen. Are most nominators who chiefly watch episodic series then going to make an effort to seek out and watch a lot of short films? No. I think we would have results exactly as I redivided them, with individual episodes taking up most, if not all, of the Short Form category, unless the rules specifically say that anything which is an episode of a larger work is not eligible (a restriction which would provide its own problems in terms of definition and enforcement). I don’t think that any of these 3 proposals could be thought through — and refined — well enough that I’d be willing to support them. I am, however, open to the possibility that they could be — but that sort of thought and refinement certainly isn’t going to happen before this year’s Business Meeting. If there are enough people interested in seeing these changes made to form a committee and spend a year engaging in the analysis and refinement required, I’d be willing to look at them again next year with the possibility of being willing to support them. But they would have to be very different than their current form for that to happen. Randy S., Garik16, Lee, Matthew B.T., Andrew M., (and David G.) concerns as to how to split SF from fantasy. Well first up I personally (IMHO) like the idea of splitting Best Novel into ‘Best SF’ and ‘Best Fantasy’ novels. Indeed there has been some discussion about this in some fan circles (albeit on the periphery of Worldcon fandom) for many years. Indeed I remember a discussion at the 2007 Eurocon (Denmark) on this very topic. I recall ‘M’ (best I not publise person in case I misremember, but it’s not 007’s boss) raising the concerns as to how you split SF and fantasy. I reported that I had asked the Locus person some years previously if ever they had a problem with the split with their Locus Awards and was told that they had not. But ‘M’ responded to me that Locus was not as democratic as the Hugos. Leaving that aside, we concluded much, as JJ did in his coment above, that if a borderline book gets votes between ‘Best SF’ and ‘Best Fantasy’ then the category in which iit is most placed should – for the purposes of the award – be the one in which it is placed. Then, again as JJ suggests above, there should be a vote transfer. (I believe, but have not checked recently, that the Hugo rules allow category transfers elsewhere and if so this should not present a problem.) So that votes are not split but amalgamated. Hope this makes sense. So it only amalgamates where the ballot is not full. I welcome correction if I’ve misunderstood the process.